The technological advancements in synthesis of the late '70s and early '80s pioneered a variety of groundbreaking instruments and products from all over the globe. Options quickly evolved from from monophonic and multiple-voice polyphonic analog synths to early wavetable and frequency modulation developments—this was the first golden era of synthesizer product design. The economic genesis of this movement produced some of the most extravagant musical instruments ever commercially available. The New England Digital Synclavier Synthesizer was a beacon of technology, sound design, innovation, utility. The result of an interdisciplinary collective from Dartmouth that included Jon Appleton, Sydney Alonso, and Cameron Jones, the Synclavier was an amalgamation of modular synthesis, digital sampling, and hard disk recording—and it was the first commercially available synth that offered FM and additive synthesis together. Trevor Horn, Sting, Genesis, The Cars, Herbie Hancock, and Kashif all used the synth. And Frank Zappa made the Synclavier the centerpiece of his 1986 Grammy-winning album, Jazz From Hell. One of the most recognizable sounds of this instrument came directly from a preset or Timbre: the first sound you hear in Michael Jackson's "Beat It." The original Synclavier was New England Digital's competitor in the fledgling digital instrument market. To go up against the revolutionary but primitive audio samplers of the time, Cameron Jones and his team developed a totally new audio technique to recreate sound. Rather than relying on samplers with low memory and lo-fi converters, the Synclavier could mathematically analyze audio and mimic it using "recreation synthesis." With Synclavier modular systems costing from $75,000 to $500,000, and as personal computers flooded the market with low-cost digital samplers and audio editing software, the New England Digital company shuttered in 1993. Cameron Jones carried on with developments that included a online home for Synclavier, Webclavier, as well as partnering with Arturia to develop a plugin version—the Arturia Synclavier V.
This partnership between Arturia and Jones has recently produced the second version of the Synclavier, the Synclavier V2. This "Digital Dream Machine" now includes the landmark resynthesis feature of the original New England Digital synth, among other updates and improvements. 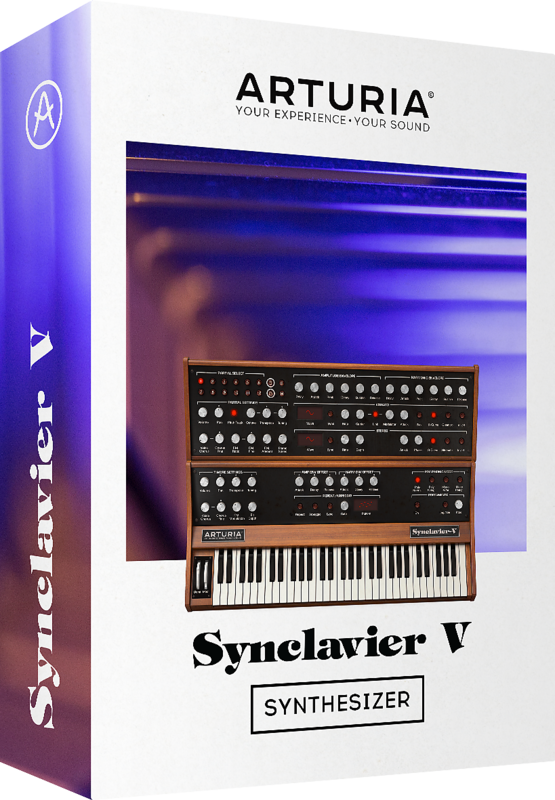 It's available as a free update to all owners of the first iteration of the Synclavier V.
For this software pick, we wanted to get this massively updated version of the Arturia Synclavier V2 in the hands of a musician whose work is just as diverse and unique as this instrument. Tim Kvasnosky aka Tim K, a enigmatic musical cameleon by trade, was the perfect choice to create something with this revolutionary soft synth. Having one foot in the world of popular music with production for artists such as Honey Dijon, Sam Sparro, Rahzel, and Dam Funk, as well as numerous commercial ad campaigns and scores for films such as King Cobra starring Christian Slater and James Franco, we recently interviewed him as part of our Making Music for Films & TV series. 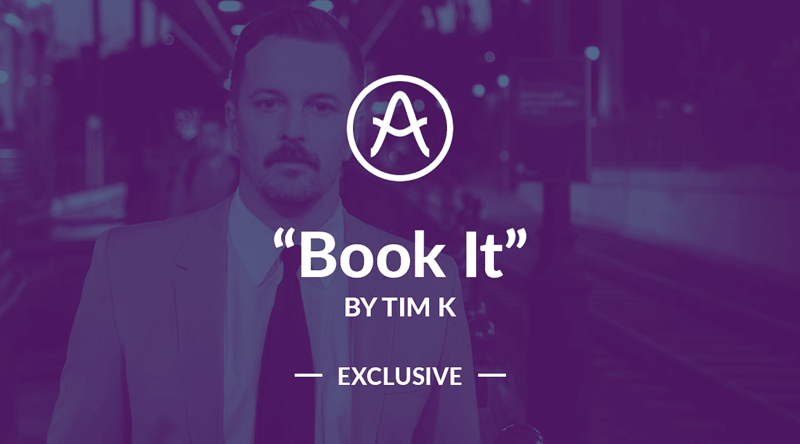 Below, Tim K walks us through his process of making this track, "Book It." I have always been impressed with Arturia's sound quality, flawless sonic emulations, and identical virtualization of the original synths. 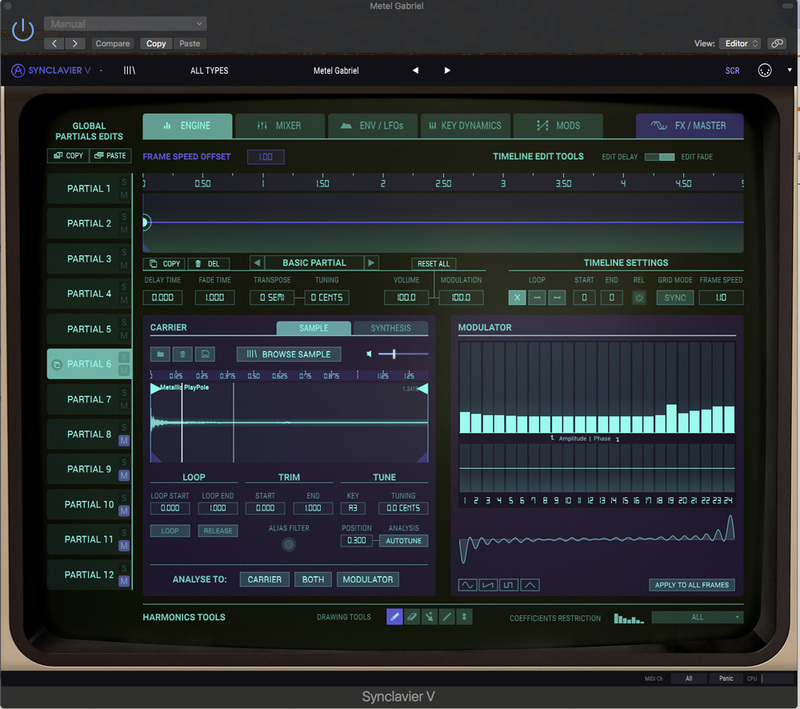 Already being familiar with the Synclavier V from Arturia, I heard about this new update with resynthesis and knew that an in-depth exploration was necessary. After finding lots of engaging features to work with, I decided for this project for Reverb, I would commit to making the entire composition with only sounds from the Synclavier V2. However, In earlier versions Arturia's virtual instruments, I always had patch recall issues, but this latest release has sorted all of that out. The biggest technical challenge for doing this entire project just on this synth was finding percussion patches that were effective, as the factory presents are limited in that department. After digging around, I found some original Synclavier patches online—in a facebook group Cameron Jones actually admins, called Timbre Share—that I was able to import and use as a starting place. However, you can also import any sample from your computer to use, as I did with the "Metel Gabriel" patch (which uses an '80s metal sample hit vibe). Recently, my wife and I have been watching a slew of '80s horror films, so I was inspired to integrate some '80s film drama sounds into a modern R&B track. 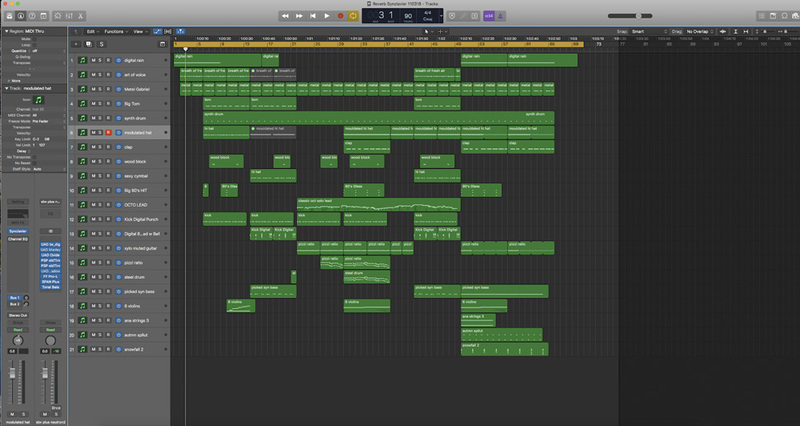 Every sound used is from the synth, and there is minimal processing aside from some gentle filtering and compression. In a couple cases, I used some additional modulation effects, but the simple FX in the synth are more than capable. I used a few presets from directly from the new update—6 Violins, Ana Strings 3, Autumn Split, and Snowfall 2—patches that include the resynthesis feature, which is quite powerful and unique for some of the layers of the patch, which is referred to to as Timbre in Synclavier parlance. The engine is quite destructive to transients. However, it does add a compelling coloration to the sound. My mentor back in Brooklyn in the early '00s had an original Synclavier and he always used to mention how he loved the sound of the converters. After exploring Arturia's most recently updated version of this groundbreaking synth, I see what he means now. It's really fun to mangle sounds with the absolutely identifiable sonic characteristics of this unique instrument. The Synclavier V2 is available on Reverb here. You can download Tim K's presets for free below, and download his original track "Book It." Check out the Soundcloud playlist below to hear the Arturia Synclavier V2's resynthesis engine in action in the deconstructed parts of the song. Tim K - "Book It"
For more information on Tim K, check out is webpage here.